Earlier this month, Apple and a consortium that includes RIM, Sony, Ericsson, EMC and Microsoft outbid Google and purchased 6000 patents from bankrupt telecom Nortel Networks. Google opened the auction at $900 million but the final bid was a massive $4.5 billion. The patents covered a wide range of topics from wireless, data and optical networking, voice, Internet and semiconductors. Today, the Department of Justice has let it be known that they are "intensifying" investigations into what the patents will be used for by their new owners. Specifically, the DOJ wants to know whether the patents were purchased with the sole intention of starting lawsuits against Google over the Android platform. 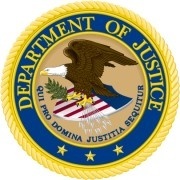 The DOJ reserves the right to place rules and conditions on the sale depending on what the answers are from the companies involved. Google, in their initial bid, said they were buying the patents to protect themselves from litigation. Damnnnnn 4.5 billion, I wish you lucky Google. "Specifically, the DOJ wants to know whether the patents were purchased with the sole intention of starting lawsuits against Google over the Android platform. " Android has already captured close to 50% market. The other major players are seeing it as a VERY big threat. And to top it all off the concerned parties may have already infringed on these patents in a big way so they want to cover their behind.